In recent months there has been a renewed look at the idea of a financial carbon bubble, or unburnable carbon reserves. Most recently, a report from The Carbon Tracker with a forward by Lord Stern of the Grantham Research Institute on Climate Change (London School of Economics), argued that serious risks are accumulating for investors in high carbon assets, such as coal mining companies and the oil and gas industry. The idea of the “carbon bubble” is based on a concept that I have discussed many times in this blog: that there is a finite limit to the “atmospheric space” for CO2 while still ensuring that warming does not rise above 2 °C. That limit is about one trillion tonnes of carbon. The issue of the bubble arises because the combined proven oil, gas and coal reserves currently on the books of fossil fuel companies (and governments in the case of NOCs) will produce far more than this amount of CO2 when consumed. This implies that in a world where the 2 °C limit is imposed and achieved, most of the future value generation of the companies involved will never be realized and therefore investors in them today are looking at a financial bubble that may well burst in front them. According to my analysis and the global reserves data in the BP Statistical Review of World Energy, we get to about 1.6 trillion tonnes of carbon as shown below. This equates to the use of total current fossil energy reserves of about 900 billion tonnes of carbon equivalent (the balance comes from the use of cement and land use change). The report clearly sets out the global carbon budget, the reserves outlook, the current capital flow being consumed to expand those reserves and comes to the additional conclusion that this part of the global energy system will also waste trillions in capex over the coming decade as it develops more reserves that could also become unburnable. The report authors argue that even the massive application of carbon capture and storage will do little to help the situation. There is really nothing to argue about in terms of the CO2 math itself. It is certainly the case that current proven reserves will take us well past 2 °C if completely consumed and the CO2 emitted. But now comes the reality check! What is missing in the report is any discussion about the dynamics of the global energy system, the need to meet energy demand and of course the rapid growth we are seeing in that demand. To bring all this math into the equation it is probably best to turn to the new Shell Energy Scenarios, released about two months ago. I discussed these at some length a few weeks back. In the context of this discussion, the initial focus should probably be on the Oceans scenario in that it sees the very rapid introduction of solar energy, with eventual large scale displacement of fossil fuels in the second half of the century. Global energy demand rises from 535 EJ in 2010 to 777 EJ in 2030 and 1056 EJ in 2060. Although solar (mainly PV) is the largest single energy source by that time, total carbon consumed through fossil fuel use amounts to 800 billion tonnes carbon by the end of the century, just a bit less than current proven reserves (900 billion tonnes as indicated above). The large consumption of fossil fuel is required simply to meet energy needs as renewable energy attempts to catch up with overall demand (which it won’t do until sometime in the 22nd century). This change is purely through the market and social dynamics present in the Oceans scenario, which sees strong growth, improved energy efficiency driven by higher prices and solar eventually dominating. CCS comes in later in the century, removing about 100 billion tonnes of carbon. 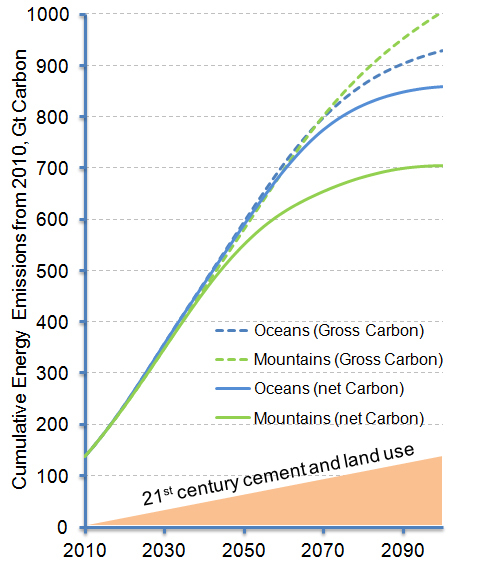 By contrast, Mountains is a fossil fuel scenario, but with heavy reliance on CCS from about 2030. Total fossil fuel use is over a trillion tonnes of carbon equivalent, which exceeds current proven reserves. However, CCS removes some 300 billion tonnes of carbon, giving an overall accumulation of 1.25 trillion tonnes by 2100 (current accumulation plus fossil use to 2100 plus land use change and cement). 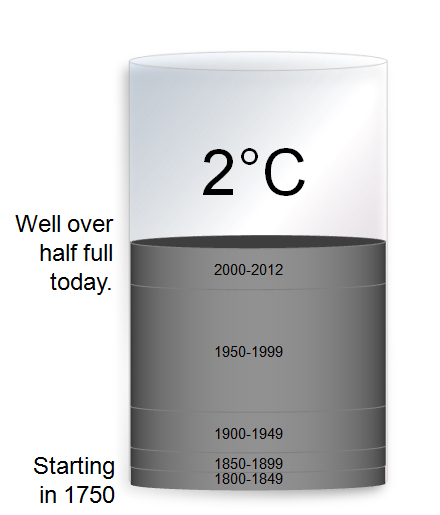 This is still above the trillion tonne limit, but is the overall lower emissions outlook. The key lesson from the scenarios in this regard is that both a rapid growth in renewable energy and the early use of CCS are required to manage emissions throughout this century. The paradox is that these exist in different scenarios with entirely different underlying economic and social drivers. It’s quite hard to have both – a world that likes fossil fuel readily gives permission to CCS going forward, but doesn’t really see huge segments of the energy market taken by renewable energy. Nuclear is strong though. Conversely, the distributed energy solar world of Oceans doesn’t want to hear about CCS and therefore leaves it until physical climate pressures (e.g. extreme weather events) force action. The reality check for the “carbon bubble” proponents is that global energy demands still need to be met and that there are limits to the growth rate of fossil energy substitutes, even as climate goals come under pressure. 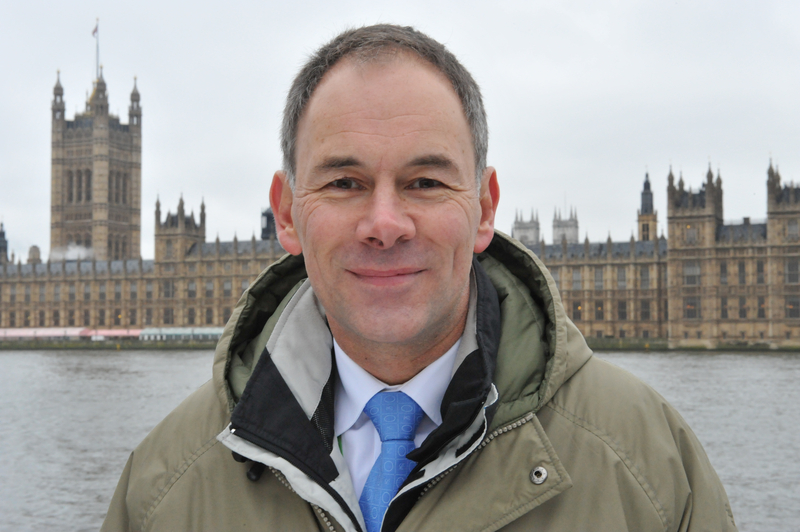 It’s no to backloading in the EU ETS, so now what? I think referenced cacls are seriously flawed. First, burning all fossil fuel reserves should take us to 600ppm of CO2 concentration. I’m not sure why your references are unable to clearly state the concentration they have calculated. Second, 600ppm is doubling of CO2 concentration compared to the preindustrial level. Now, it depends on (CO2) climate sensitivity what the resulting rise of temperature could be. Climate sensitivity is a key parameter. We can argue about how much it is but each analysis should clearly state what sensitivity estimation is based on. If the study uses some ridiculous sensitivity they would get with ridiculous conclusions. Third, we are measuring global warming around 1.5degC currently. It is even close to 0dec over the last decade. This means that unless we see acceleration the alarmist predictions are moot. Fourth, the idea that we need to limit warming to 2degC from the period known as “Little ice age” is weird. Our planet very likely experienced similar warm periods over the last 10000 years without any ill effect. Actually, the warming was positive – e.g. Roman warm period or Medieval warm period. 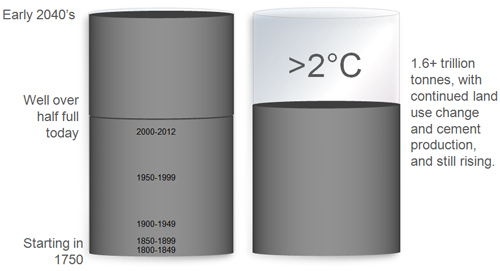 This 2C figure is inflated political ‘moonshine’, based largely on erroneous computer models, not observed fact. The latest research shows this, and the high sensetivity argument is already rattling it’s clack. 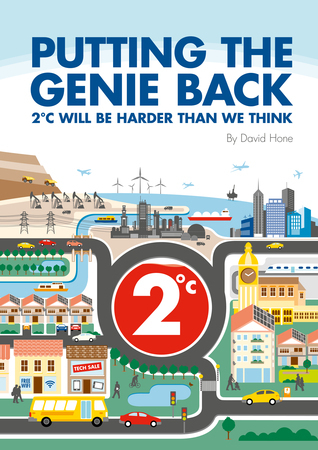 As a geologist, the words ‘in a world where the 2 °C limit is imposed’ always has the capacity to make me laugh. The Aztecs believed that with enough human sacrifice they could change the weather. The modern ‘apocalyptics’ believe that with enough human sacrifce they can change the climate. That’s real human progress for you! The carbon bubble is not only about 2C. It will burst under any conditions that lead to not using the remaining fossil fuels – peak consumption vs peak production. In my opinion in your Shell Energy Scenarios you vastly underestimated the renewables (which even now are the cheaper energy for more than 1 billion people and continue to get cheaper) and overestimated the economical viability of CCS.